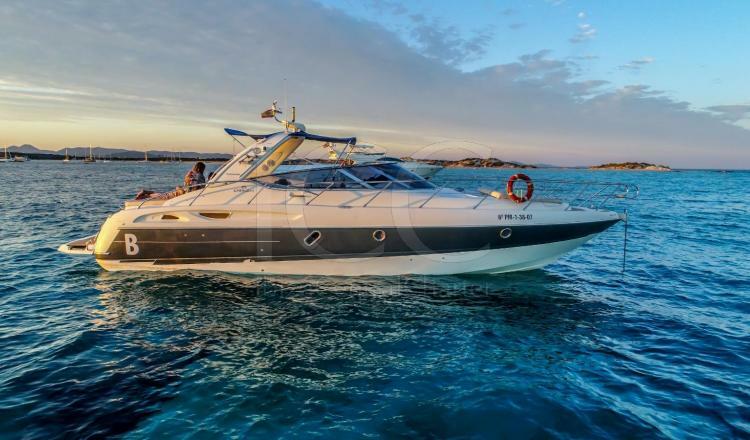 Cranchi 41 moored in Marina Ibiza port is cute 12 meters of length and 4 meters of beam yacht, the perfect boat to discover the beautiful nooks hiding in Ibiza and Formentera. 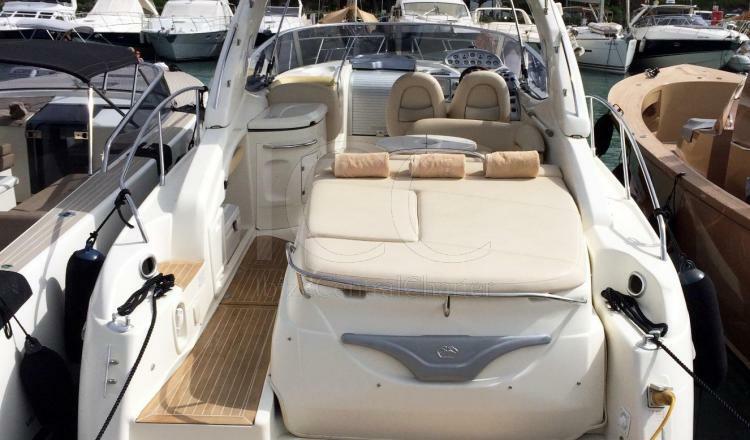 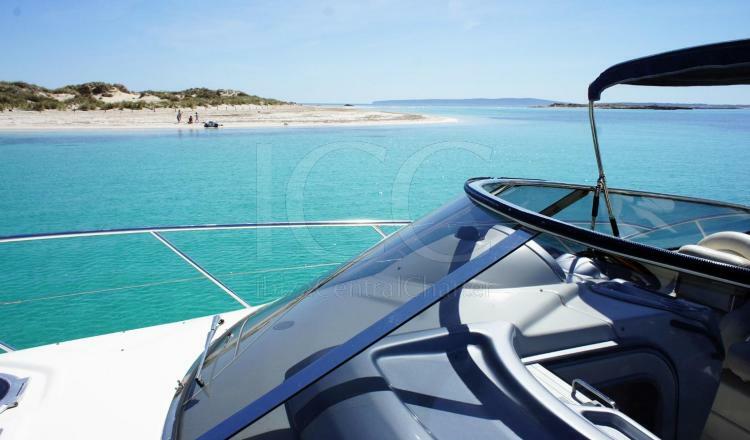 The yacht Cranchi 41 is available with skipper, so on board you will just have to be worry to enjoy the day at sea. 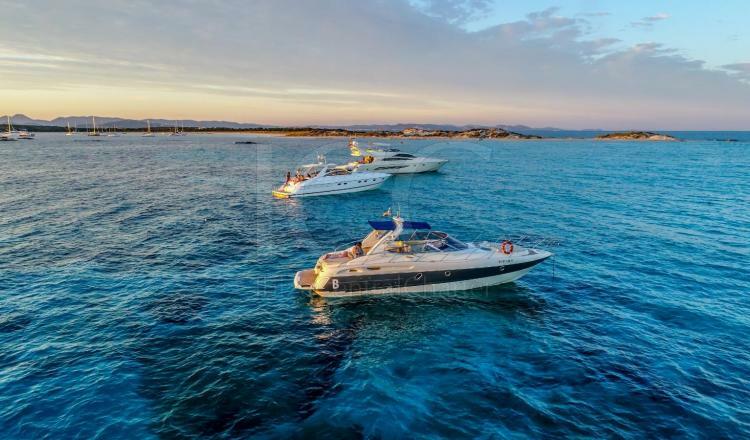 It offers outdoor spaces where you will feel the luckiest person around the world, and that sunbathing in one of its bow or stern solarium overlooking the white island will be a sensation that you will not want to finish. 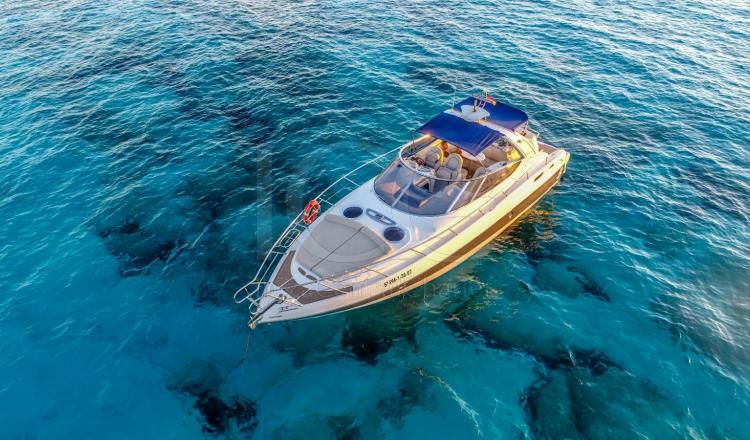 Enjoy a meal on sofas and exterior table without worrying about the sun thanks to its awning will make you remember this meal as one of the best of your holidays, and certainly the time to dive into the water is more fun thanks to the bathing platform. 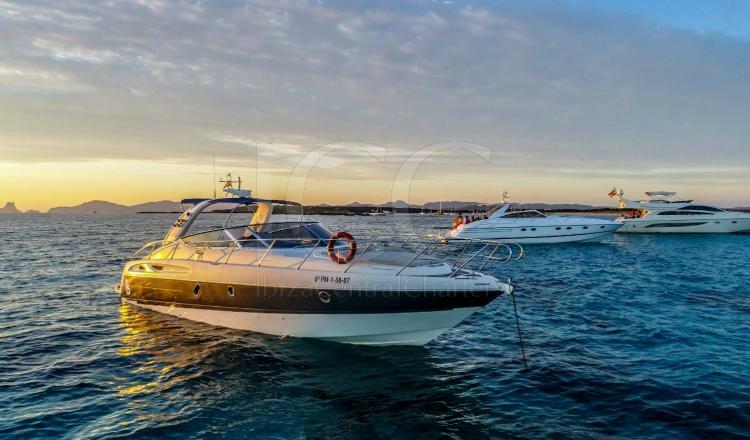 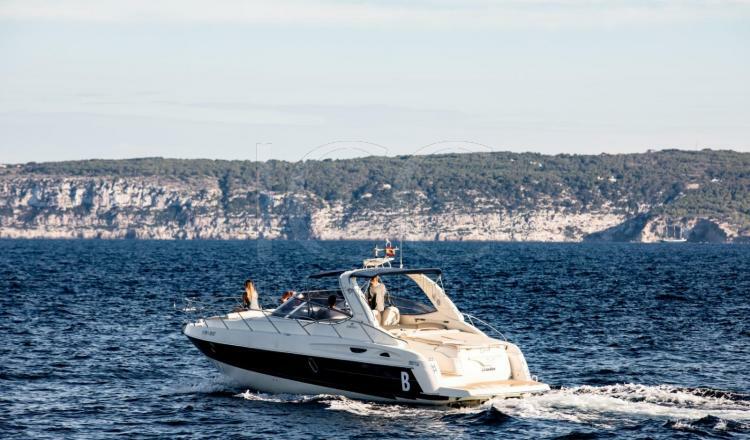 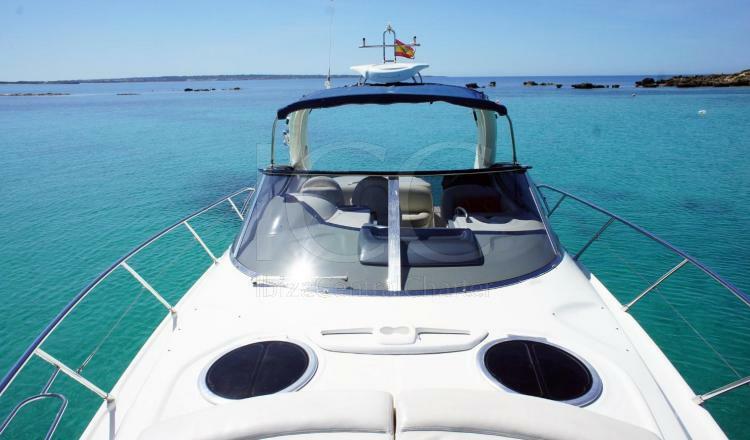 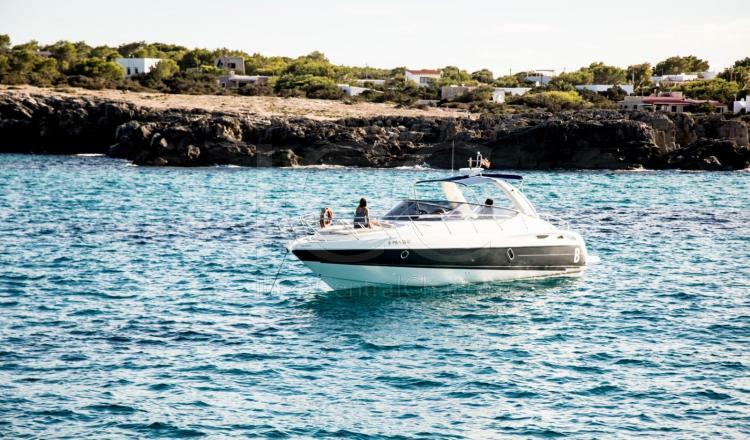 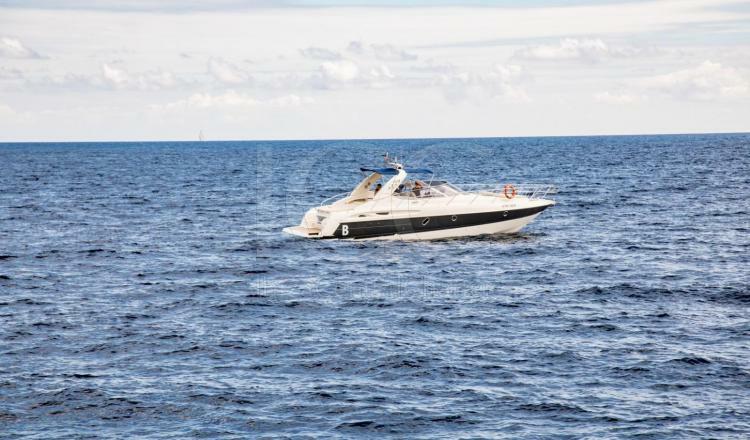 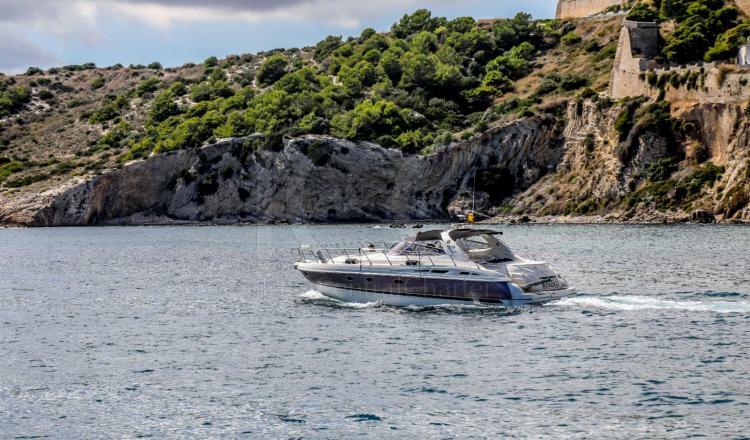 Ibiza and Formentera are known for the clarity of their water on the beaches, for its beaches and coves, the Cranchi 41 offers you to discover them all from comfort and rest.